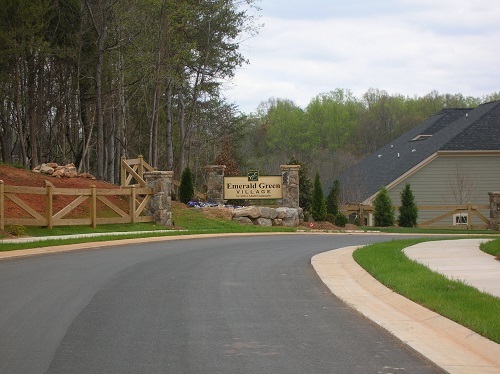 Emerald Green Subdivision is an age geared subdivision with 56 duplex town homes. 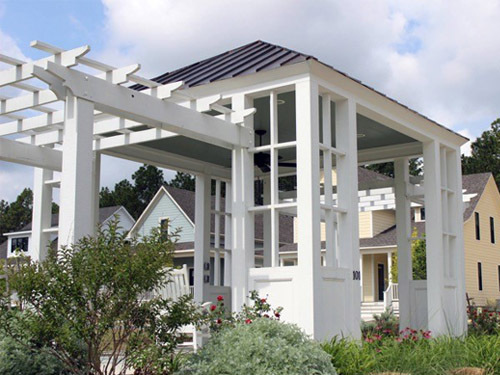 The Design considerations included maximizing the useable land outside of the floodplain and creating amenities for active adults, such as a clubhouse with an outdoor seating area and walking trails throughout the community. This mixed development with cottage homes and town homes. It includes rear alleys for detached garages on the townhouses, while single family homes have detached garages in the backyard creating a "white picket fence" feel in the front yards. Existing pine trees were reused and an infiltration basin doubles as an outdoor amphitheater area. 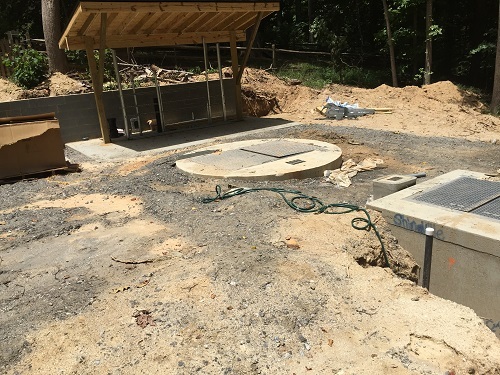 Storm sewer management that dramatically limited the runoff to below pre-development conditions.! 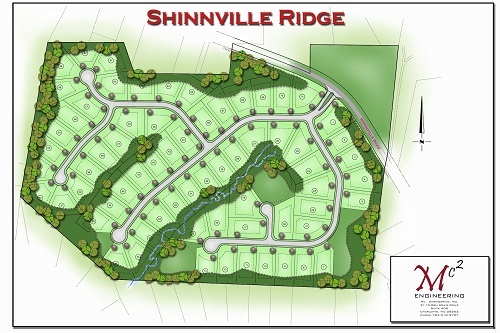 The Shinnville Ridge design takes advantage of existing mature vegetation by minimizing grading to retain as much vegetation as possible for the 74 larger home sites. 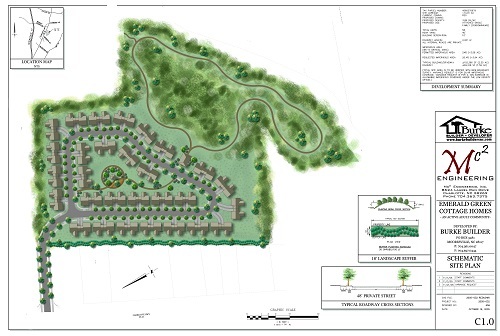 This 100 single-family lot subdivision design incorporates an existing pond with the adjacent golf course. 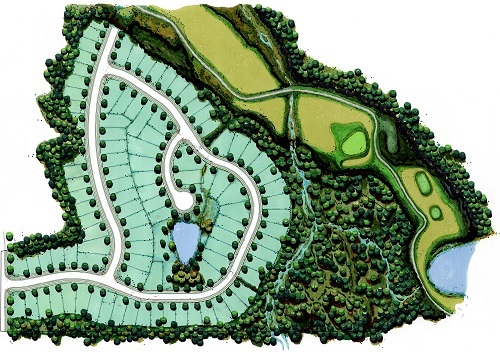 The layout includes preserving a natural area for potential walking trails. 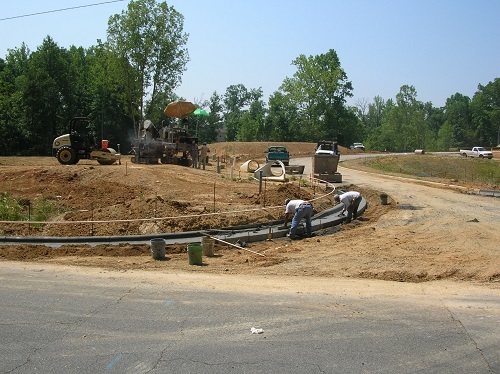 The use of curved roads create curb appeal and provide better sight lines. 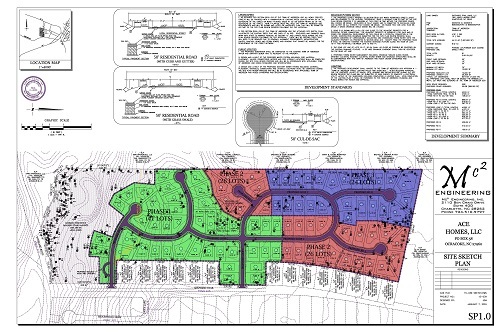 This lower impact single-family development is designed with open channels for stormwater runoff and curved linear roads. The layout retains a large amount of the established canopy and drainage features. 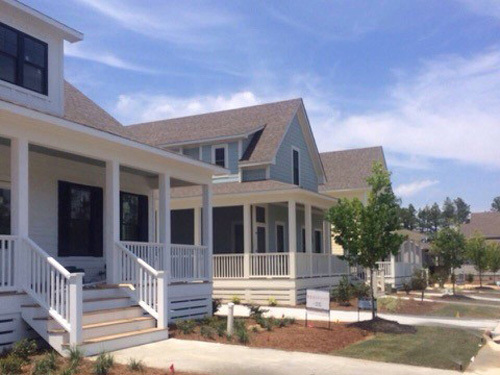 This Charleston style development is located in Charlotte, NC. 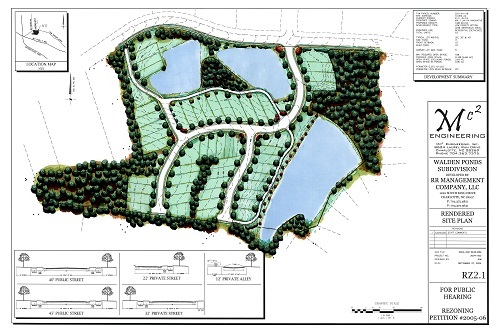 It contains 53 lots and retains the 3 existing ponds that are 1.5 acres. 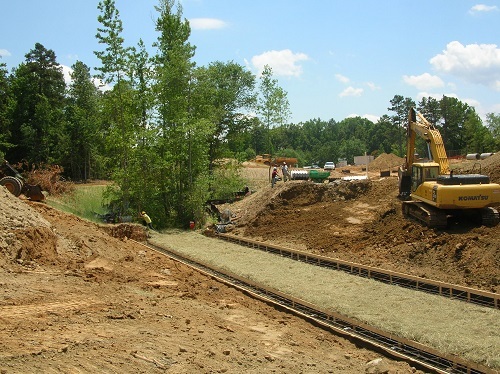 Lots are oriented towards the ponds to create highly desirable lots. 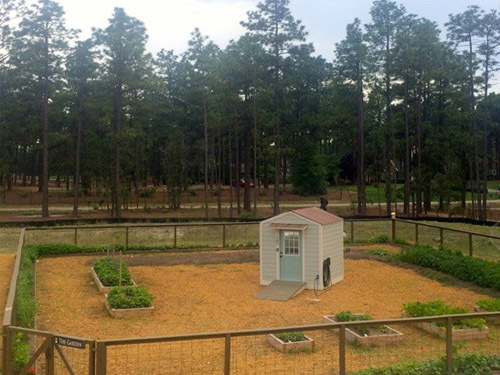 The layout also includes creating rear loaded lots with rear decks which overlook the ponds.